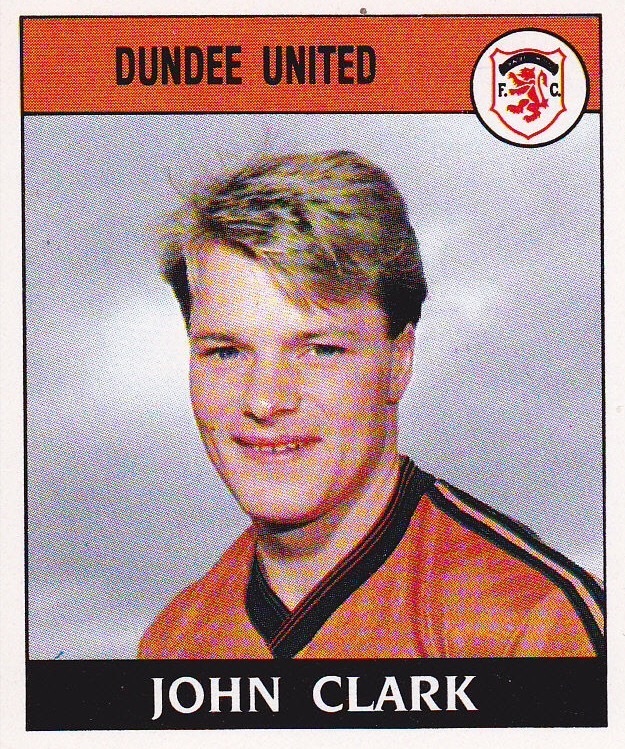 John was an S signing from Musselburgh Windsor in March 1981, and by September that year he had signed professionally and was playing in the forward line with the United reserves. He made a scoring debut in a testimonial match for Fraser Kellas against Elgin City in May 1982, coming on as a substitute. John made his competitive debut as a substitute in later that year, in a UEFA Cup tie against Viking Stavanger in November. In early 1983 he was part of the Scotland youth squad. 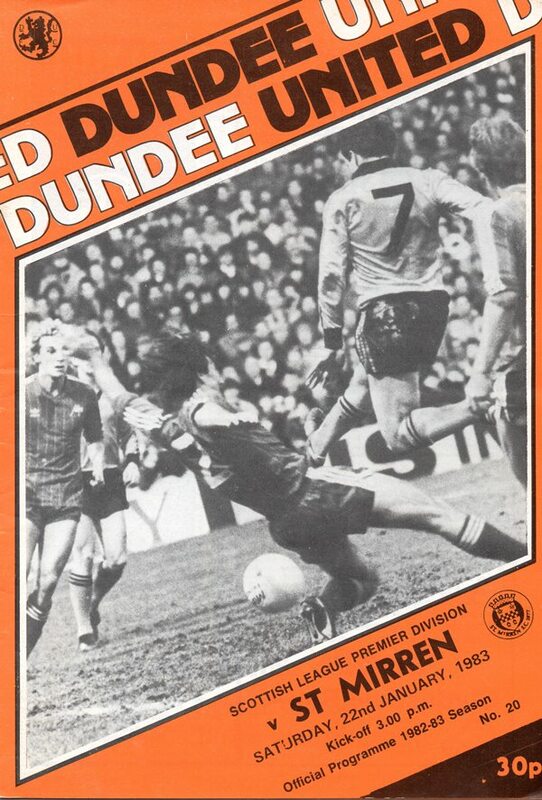 Still an attacking player, he gradually broke into the first eleven by 1983-84, an able stand-in for Paul Sturrock, Davie Dodds and John Reilly, making three substitute appearances during United’s European Cup run, including a semi-final appearance against Roma. He collected a runners-up medal in the League Cup final against Rangers the following season, and having began his career as an attacking player, he was converted to a defensive role by manager Jim McLean – a move which saw a dramatic upturn in his United career. 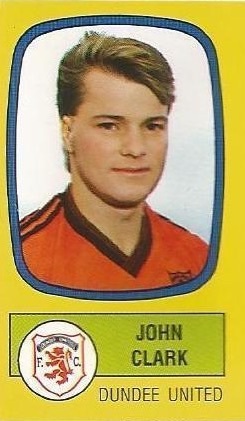 John played an important part in United’s run to the UEFA Cup final in May 1987. Having already scored in earlier rounds against Universitatea Craiova and Hadjuk Split, he hammered home a late header against Barcelona at the Camp Nou to send United through to the semi-finals in one of the clubs most famous victories. 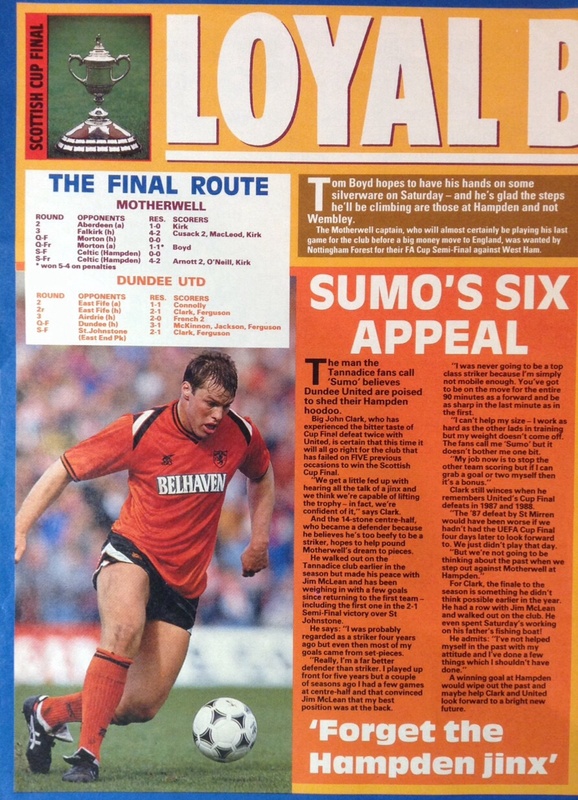 He also netted United's goal in the second leg of the final against Gothenburg with a fantastic strike from the edge of the box at Tannadice, but unfortunately collected a runners-up medal. He was also on the losing side in the Scottish Cup final in the same season against St Mirren and against Celtic a year later. A big favourite with the fans, he continued to play regularly and was linked with a £1m transfer to Spurs in January 1990. 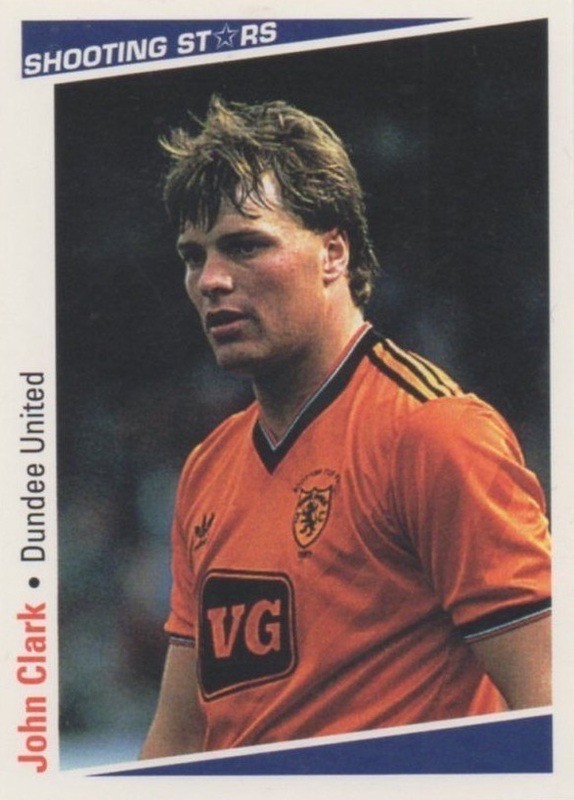 In August 1990 he quit Tannadice to work in his family business in West Lothian, but within a month he was back at United. 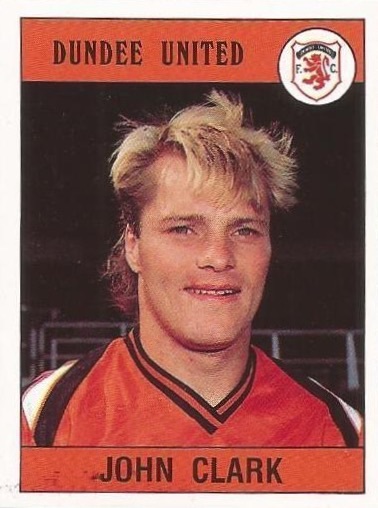 In 1991, he lost out on a Scottish Cup medal for the third time, in the final against Motherwell. He had two more seasons with United and appeared to be bound for Middlesbrough in January 1994, but a month later moved to Stoke City for around £200,000. In August 1994 he was granted a testimonial match by United against his new club. 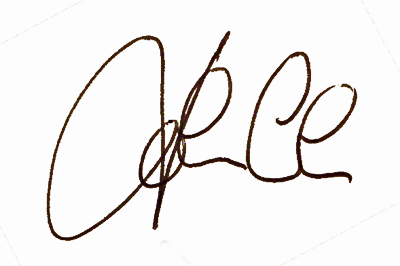 He was with the English side for just a few months before joining Falkirk in September 1994. After two years with them he moved to Dunfermline Athletic. 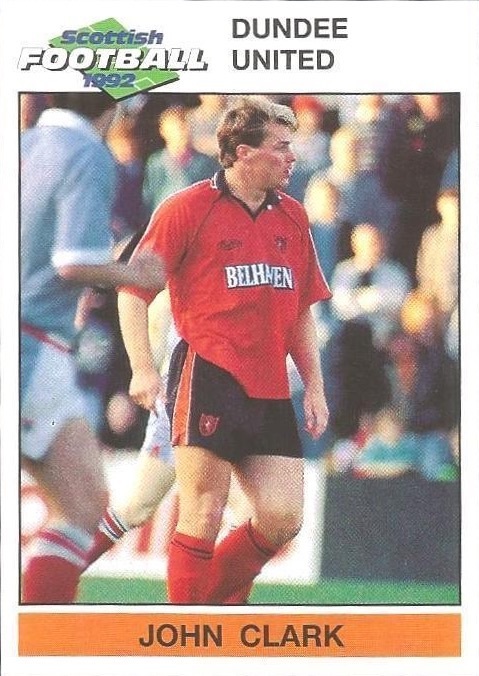 In December 1996 he played trials at Ross County, and in August 1997 he moved to Berwick Rangers where he concluded his senior career at the end of the 1998-99 season. He later had spells as manager at Gala Fairydean and Whitehill Welfare. 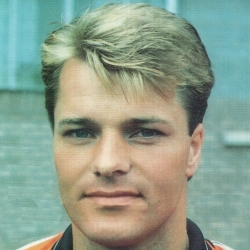 John was inducted into the Dundee United Hall of Fame in 2010. John was born on this date in Edinburgh. United's final match prior to the return leg with Roma turned out to be a torrid Derby encounter. 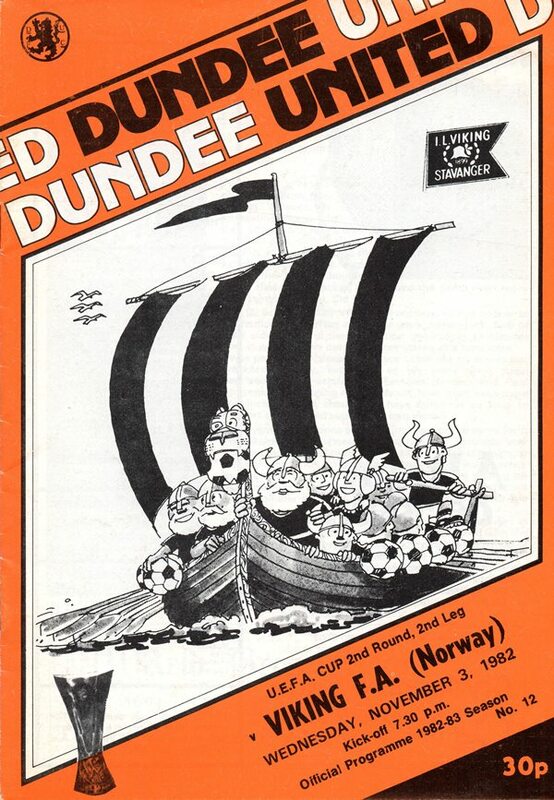 Dundee escaped with a point after United failed to capitalise on their dominance, which was particularly in evidence in the first half. Two nothing up and cruising at half time, only what Manager Ivan Golac described as amateurish defending prevented us claiming both points from a match which was there for the taking. Apart from Andy McLaren hitting the side netting in the seventh minute, Raith enjoyed the bulk of the early play, but despite winning a string of corners failed to force a save from Alan Main.